Kat - Asparagus! It’s a perfect time to grab some of those homegrown tasty green spears. But for some people their enjoyment of the veg is somewhat tempered by an unpleasant side effect: stinky wee. It’s best described as a fetid, sulphurous smell, akin to bad breath or a particularly noxious fart, and can turn up within an hour or less of eating asparagus. But because only a proportion of the population can smell the stuff, it’s usually assumed that only those people make it. But the truth is a lot more complicated. The first scientist to turn their mind - or rather their nose - towards the problem was Polish chemist and doctor Marceli Nencki. He identified the source of the smell as a sulphur-containing chemical called methyl mercaptan - also known as methanethiol. Given that some people make the stinky chemicals after eating asparagus and others don’t, it was thought that this was the key deciding factor. In the 1950s, researchers studied families of stinky-wee producers and non-stinkers, concluding that the ability to make methyl mercaptan from asparagus is linked to one single gene - as yet unidentified - which presumably breaks down the asparagus chemicals into the smelly ones. A larger study in the 1980s also confirmed the finding - it seems to come down to one gene. You either inherit two stinky versions, one from mum and one from dad, two non-stinky versions, or one of each (in which case you’re still a stinker). But it’s not quite as simple as that. It turns out that not only do you have to make the noxious chemicals in your wee, you have to be able to smell them too. Like the ability to metabolise methyl mercaptan from asparagus, the ability to actually detect the smell of the stuff is also genetic. But in this case there’s more than one gene involved. A large-scale genomic study by US researcher Lorelei Mucci and her team revealed more than 800 locations in the genome that are linked to the ability to smell methyl mercaptan. Their results were published in the Christmas 2016 edition of the British Medical Journal - never the most serious edition of the normally staid publication - with the title “Sniffing out significant “Pee values”: genome wide association study of asparagus anosmia”, and the suggestion that “Future replication studies are necessary before considering targeted therapies to help anosmic people discover what they are missing.” As a non-smeller myself, all I can say is I’ll pass. 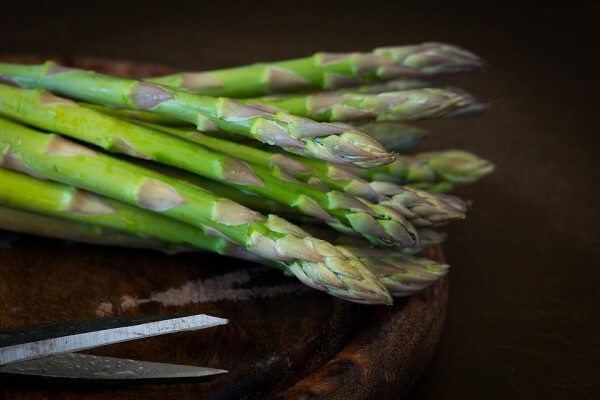 So to be an asparagus wee-smeller you need to have the crucial combination of having the genetic variations in your metabolic enzymes that break down asparagusic acid to make methyl mercaptan, along with the right variations in your olfactory receptors to detect it. This does mean there’s a potential for a mismatch, which could make for some awkward domestic bathroom experiences if you’re an unwitting producer while your partner is a sensitive smeller.